Islington Mill Art Academy (IMAA) launch their second decade in existence with a year-long experimental ‘artists in learning’ residency at Islington Mill Gallery. The fruits of ten years of development and exploration have led to the creation of an ambitious and intensive 1-year programme that will take place throughout 2019 in the most prominent space at Salford’s Islington Mill. 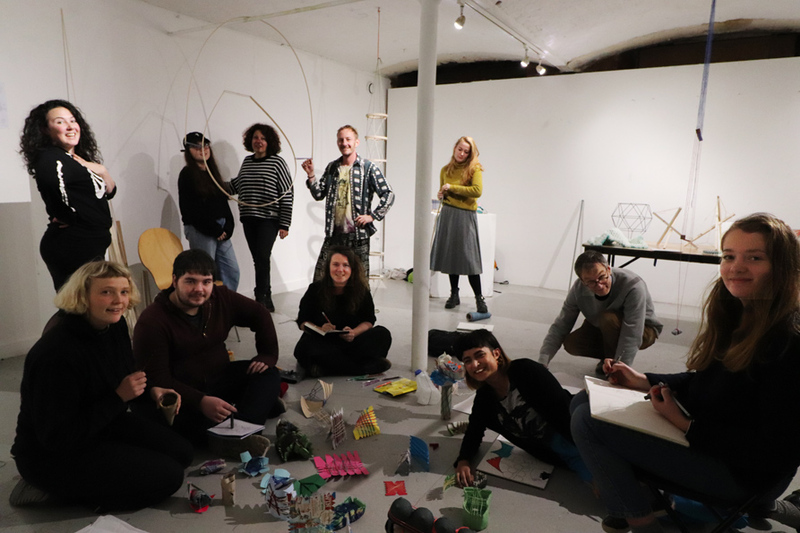 13 self-elected learners make up the 2019 IMAA Collective, and the group is set to take full charge of a year-long learning experience, including formulating their own curriculum, selecting visiting artists, establishing goals and group methods for work and decision-making, as well as devising new frameworks for peer-evaluation, facilitation and individual coaching. The Collective are supported by the core staff team at Islington Mill, who have significant experience in multiple creative fields and can provide access to an extensive network of international practitioners. 2018 was the tenth anniversary of IMAA, the alternative art school that emerged from the artist community at Islington Mill. IMAA began as a grassroots artists’ response to growing university tuition fees and a rapidly changing educational climate that saw the ongoing neglect of arts learning in the UK. IMAA operates as an entirely student-led and peer-supported organisation with no tuition fees and no teaching staff. For the past decade, it has led and shaped an alternative education model in art, attracting and developing a diverse range of artists and inspiring the creation of other alternative schools around the world. At the end of 2018 it was announced that IMAA will be the focus of a new funded PhD exploring alternative art pedagogies in partnership with Manchester Metropolitan University. IMAA will also be the first UK learner group to fully engage in Upwording, a language-based programme which aims to replace traditional group power hierarchies and authoritarian structures with mutually empowered motivation and decision-making techniques. The experimental residency will introduce a new creative and curatorial programme that places 2019 IMAA Collective at the centre of a community of 150 artists at Islington Mill. This is the first time Islington Mill has committed to an organised group of people in this particular way, reflecting the ways that IMAA represents the wider project of the Mill – to enable creative freedom, self-actualisation and experimentation in a self-governed communal way. I wanted to make connections and Islington Mill Art Academy has supported me to explore my interests as a visual and performance artist, thereby supporting me in my artistic career too. In my practice, I’m interested in finding alternative ways of working and learning, both in relation to arts education and to communities. The full list participating artists are Hanaa Cara, Nicola Colclough, Nancy Collantine, Jenny Gaskell, Andrew Hicklin, Thea Luckcock, Patrick O’Donnell, Rebecca Smith, Heidi Taylor-Wood, Ruby Unsworth, Stephanie Vickers, Daniel Wiltshire, Donna Wood.